The film is an excellent MIRRORED execution that’s cleverly devised to help the consumers discover the benefits of Rexona Advanced Whitening. 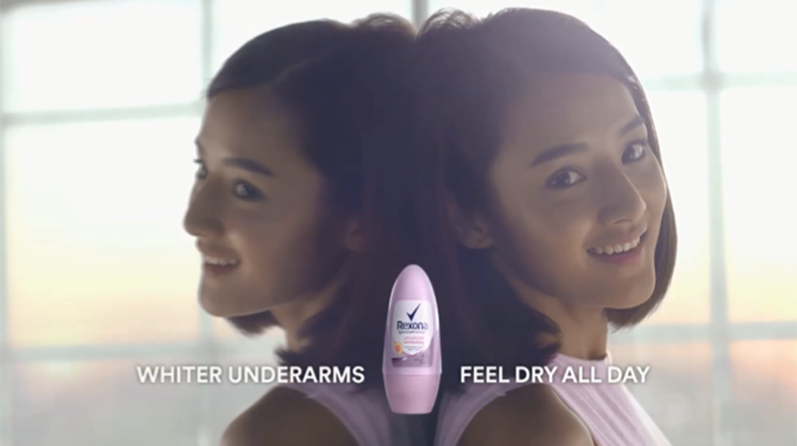 We showcased the key comparison between the two girls forcefully – one uses Rexona having dry and fairer underarm and the other not so. That’s Rexona Advance Whitening — the only whitening range without compromise: superior protection without darkening.